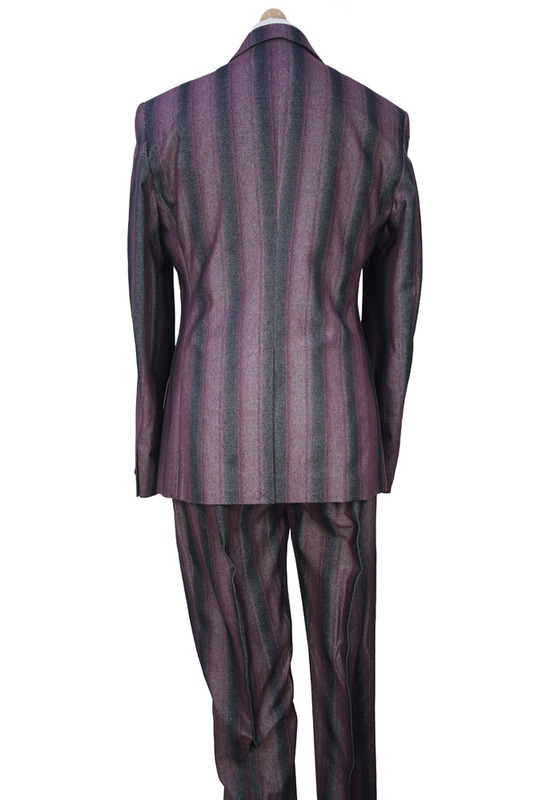 Vivienne Westwood Man London Tournament Cotton Classic Suit in burgundy and black stripes. Single button fastening with long lapels. Angled left chest pocket. 2 angled main pockets with flaps. Single button working cuffs. Single vent at rear. Fully lined in black, with single pocket with button fastening inside. Slim fit, James Style, with Union Jack logo inside. The trousers have belt loops and a strengthened waist, with embroidered Vivienne Westwood London with Orb and Skull logos all around. 2 side pockets and a left ticket pocket with button fastening. Single pocket at the rear. 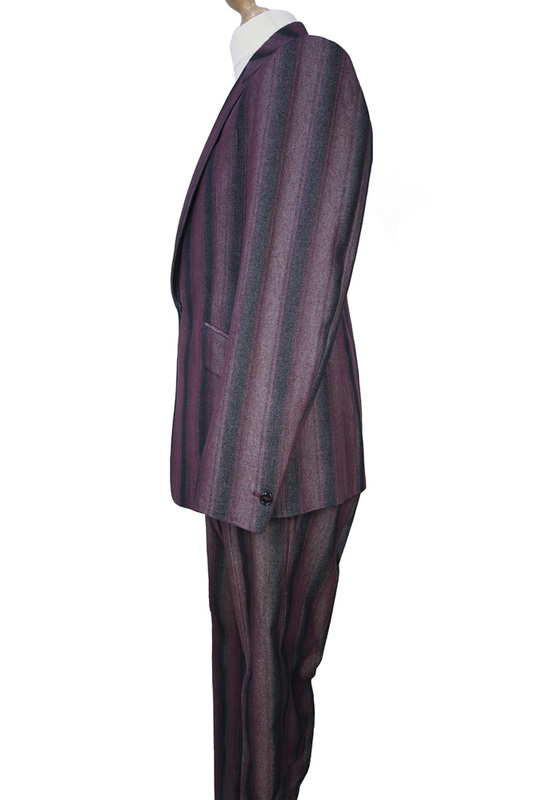 Stunning, classic styled suit!